Nagato Iwasaki scours beaches for driftwood he can repurpose into lovely sculptures. I made several works of the human body from wood before my current Torso works. For these pieces, I processed the wood itself and used fastening tools like bolts and nails. My studio is located in a town on the southern tip of Yamanashi prefecture, but it's only about 30 minutes from Suruga Bay by car in the direction of Shizuoka. If you head over that way after a typhoon, there is always a lot of drift wood that has been washed up on the beach. When I first started gathering up this drift wood that had been washed up there from all over the world, I was making works like bicycles, desks, and chairs. 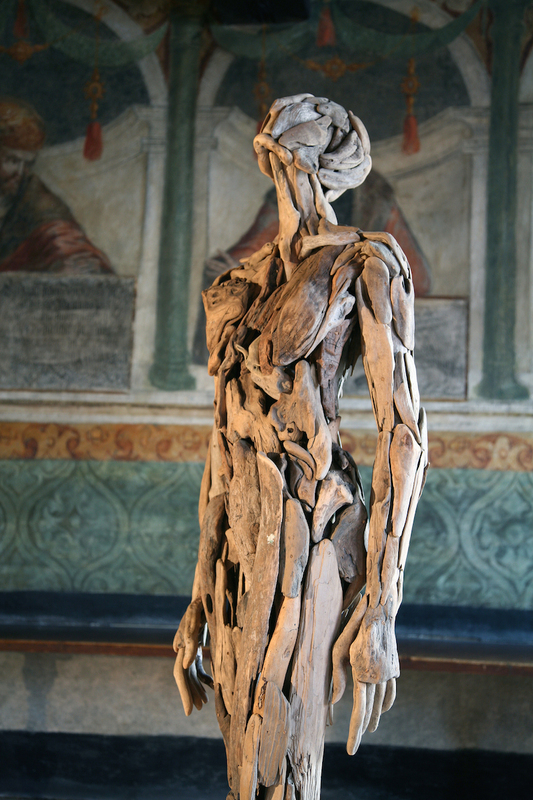 But, since I had a background in creating sculptures of the human form, I eventually started putting together these pieces of drift wood to create human forms.